If you’re anything like me, then selecting the right travel snacks are high on your list of priorities. However, with so many options on the market today, choosing the best item can prove to be more of a headache, than just a quick trip to the store for suitcase goodies. As a result, I’ve decided to take the guess work out for you, and share one of my newfound favorites. 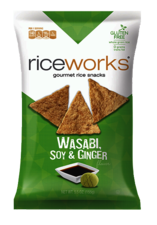 I present to you today, the ever delicious line of RICEWORKS Gourmet Rice Snacks (hint the word rice is meant to be an indication of the primary ingredient,) – a phenomenal alternative to potato chips. Yes, I said it, and I meant it! 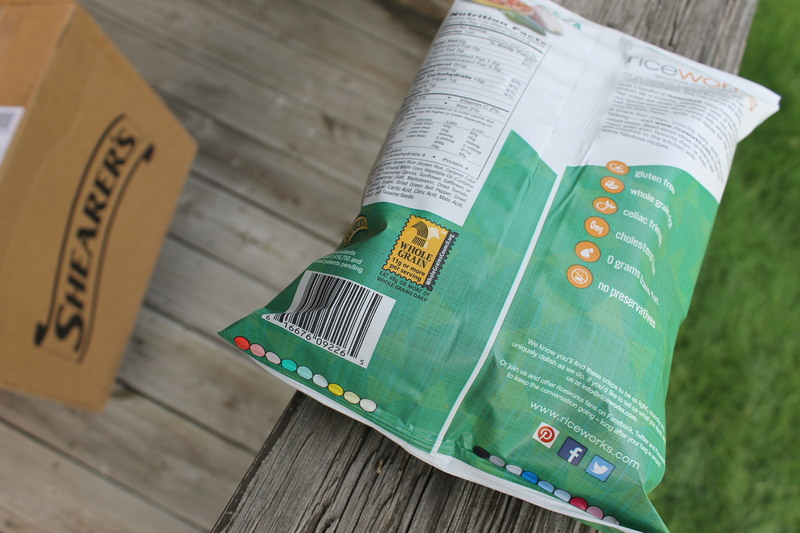 This line of rice chips is near and dear to my heart, as they are created by the ahh-mazing Ohio based company, Shearer’s. (Side note- If you haven’t figured out already, I’m a native of the great state of Ohio!!!) – Thus, I’m so thrilled to add this collection of rice snacks high atop my 2015 Suitcase Series, travel list. These yumtastic treats are so incredible that I’m unsure just where to begin. They come in 10 different flavors; Sea Salt, Black Japonica Rice, Sea Salt and Black Sesame, Sun Dried Tomato Mediterranean Herbs & Cheese, Salsa Fresca, Wasabi Soy and Ginger, Sweet Chili and new additions– Rosemary Garlic & Balsamic Vinegar, Spicy Spanish Cheese Blend and Olive Oil Parmesan & Basil. How fantastic are these flavor profiles? Shearer’s has created a unique line to suit the taste of everyone. Riceworks come in a 5.5oz bag, as well as a smaller 1.75.oz size bag, which I only managed to locate during my time in Ohio, at a local Dave’s Supermarket. Both sizes fit perfectly in my tote bag, and make for the best airport and/or in-flight snack. 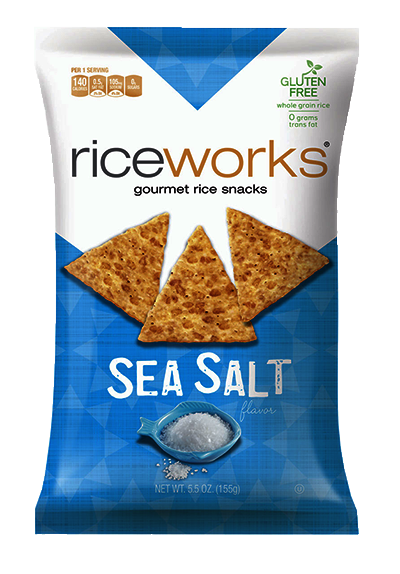 Riceworks are made from “whole grain rice, have 0 grams of trans fat per serving, are gluten and cholesterol free, and contain no high- fructose corn syrup or preservatives.” Additionally, though some flavors contain dairy, there are milk- free options to choose from, so those particular flavors are most definitely vegan-friendly. Bravo!!! Be sure to check the ingredients on the back before purchasing. 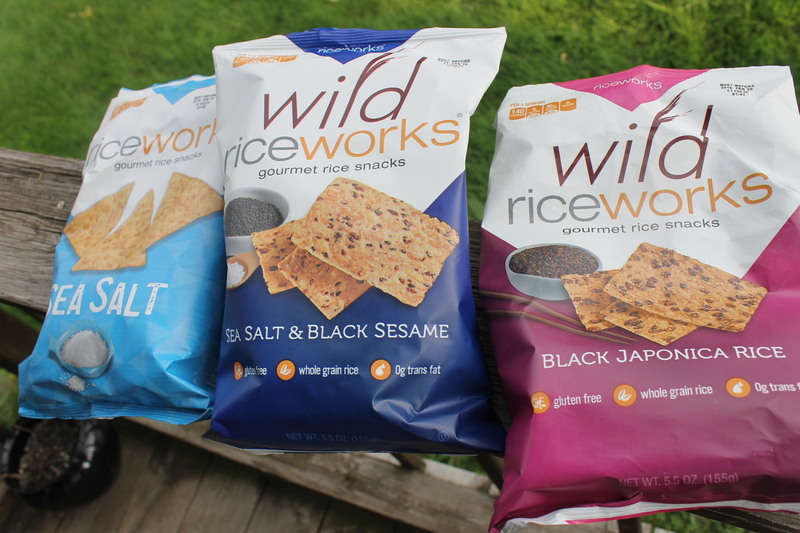 All flavors contain “1 gram of fiber except for Sea Salt and Black Sesame flavor, which contain 3 grams.” The Riceworks line is also a hit with the Celiac Disease Community, because as noted above, they contain no gluten. For more information, you can visit http://www.glutenfreechecklist.com. 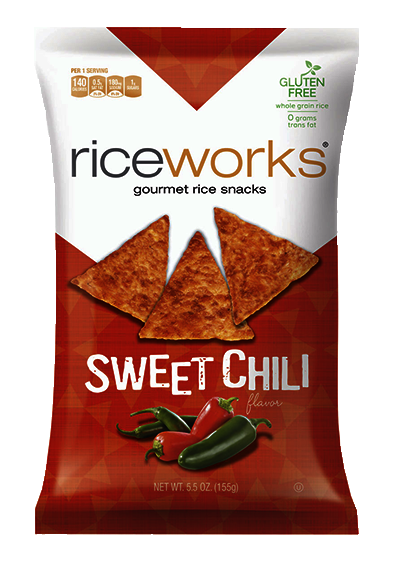 While I thoroughly enjoyed snacking on many of the Riceworks’ line, I must say that I’ve fallen for the Sweet Chili flavor. I could literally eat a couple bags a week easily. Sometimes you just want a good ole crunchy snack for the road, and I don’t mean celery – at least not all the time!!! This Riceworks line makes my 2015 Suitcase Series cut, so be sure to pick up a few bags before your next big or small adventure. You will not be disappointed by this pick!! 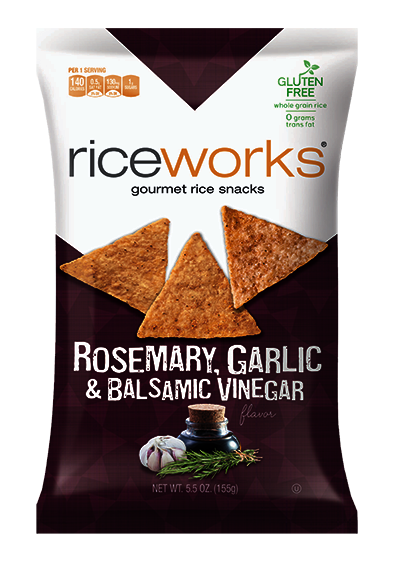 Visit http://www.riceworks.com to learn more about where you can purchase this product. Happy travels!